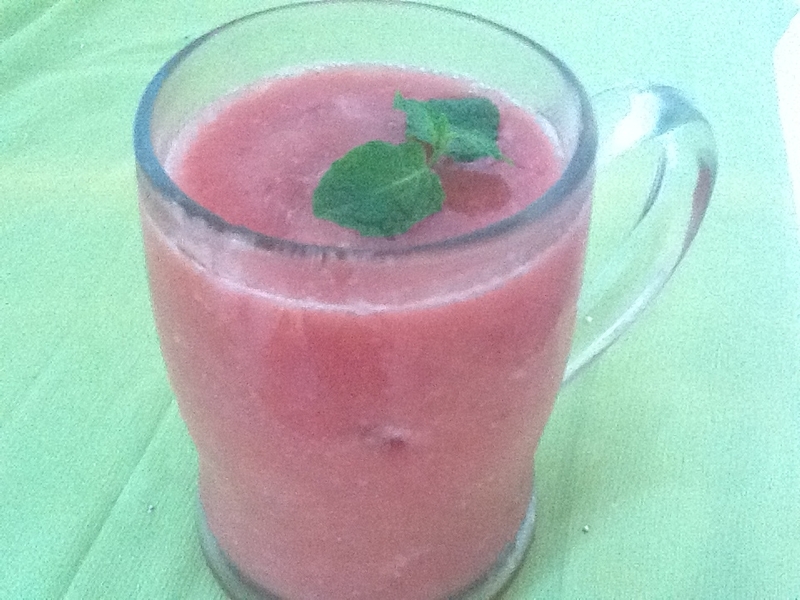 Watermelon and banana are poles apart in consistency but together make a great healthy drink. A very cooling treat on a hot day. I had some frozen banana in the freezer so instead of just plain watermelon juice I decided to make something different. Before you liquidize the watermelon, remove as many seeds as you can. Enjoy the lovely pinky red drink. Put the frozen banana and watermelon juice in a blender and liquidize it. If you don’t have semi frozen watermelon juice, just add crushed ice before liquidizing the banana and watermelon. can add fresh mint before liquidizing.